Just like everyone else, life has been zooming along at a crazy pace. Work keeps me exceptionally busy but I’m enjoying the challenge. When I’m not at work, it feels a little like I’m just trying to maintain the housework ~ how can three people produce so much laundry. Oh, yeah ~ I have an 11 year old who likes to “try” on clothes and somehow those items end up in the laundry. Unfortunately, I wash a lot of clean clothes. Double Dutch Jumping with Favorite Girl and her friends. Talk about a trip down memory lane. 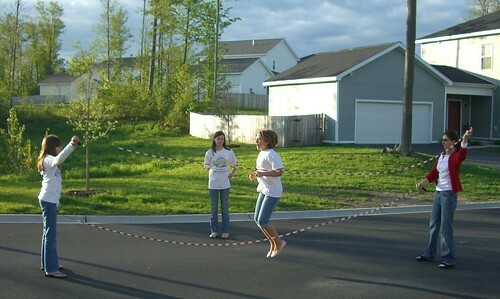 In middle school, I spent all my recess and after-school time jump roping. I was in FANTASTIC shape then. Hmm, maybe I should do this everyday. 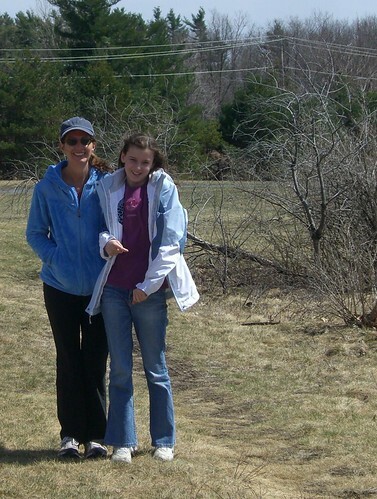 Hiking with the Favorite Girl, Man, and the dogs. Great pictures.I think you still look pretty good,I thought it was all her friends in the photo until I looked closer.